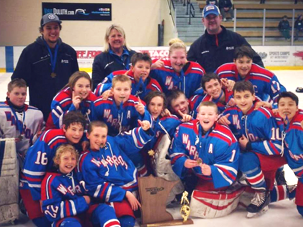 50 years after the Warroad PeeWees (coached by Cal Marvin) won third place in the state tourney, the 2018 PeeWee As have become state champions! Many friends and families came together to cheer, and it was an awesome time of celebration for Hockeytown, USA! Congratulations to RR19HS campers Cahlilah, Murray, Erick, Sophie, Iver, Jayson, Carson, and Will. RR19HS celebrates with former camper Maggie Hanzel (Rochester, MN) and her commitment to play Division I hockey at Boston University in 2021! 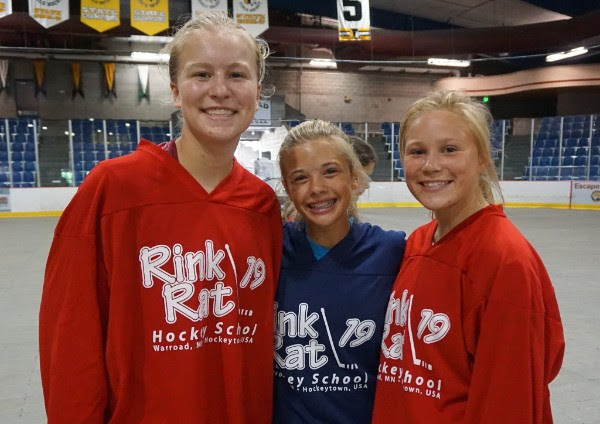 Maggie (pictured on left) had a strong presence as a camper both on and off the ice, and we are excited for her future endeavors. Congratulations, Maggie! We are sad to share the news of Andrew Carroll’s passing. Andrew was more than just a coach at RinkRat 19 Hockey School–he was a friend, a mentor, and a role model. He came to the rink early and stayed late to skate with campers. He was always full of joy and loved the campers well. As we mourn this loss, we are comforted knowing that he is resting in peace with Jesus.